CMS is offering equitable relief to certain Medicare beneficiaries currently enrolled in Medicare Part A and coverage through the individual Marketplace (i.e., a Marketplace plan for individuals or families and not for employers (also referred to as SHOP)). This equitable relief provides eligible individuals with an opportunity to enroll in Medicare Part B without penalty. Further, CMS is offering equitable relief to eligible individuals who were dually enrolled in Medicare Part A and coverage through the Marketplace and subsequently enrolled in Medicare Part B with a late enrollment penalty. This equitable relief provides these individuals an opportunity to request a reduction in their Medicare Part B late enrollment penalty. This tip sheet explains the equitable relief, eligibility criteria and steps for Medicare beneficiaries if they want to enroll in Medicare Part B or request a Medicare Part B late enrollment penalty reduction. Q1. Why is CMS offering this equitable relief? Coverage under Medicare Part A meets the legal requirement for minimum essential coverage. Individuals with Medicare Part A are not eligible to receive premium and cost-sharing assistance (often referred to as advanced payments of the premium tax credit (APTC) or income-based cost sharing reductions (CSRs)) to help pay for a Marketplace plan premium and covered services to make the costs of a Marketplace plan more affordable. Individuals receiving APTC while dually-enrolled in coverage through the a Marketplace and Medicare may have to pay back all or some of the APTC received for months an individual was enrolled in both Marketplace coverage with APTC and Medicare Part A when they file their federal income tax return. Some people may have had coverage through the Marketplace (and possibly received APTC or CSRs) before being eligible for Medicare. When first eligible for premium-free Medicare Part A, these individuals may have refused or dropped Medicare Part B coverage because the costs for Marketplace coverage, with any financial assistance they may have been receiving, was more affordable than Medicare Part B, and they believed they were eligible for APTC and CSRs. In summer 2016, CMS mailed a notice to Federally-facilitated Marketplace enrollees who were enrolled in Medicare Part A, over age 65 and receiving advanced payments of the premium tax credit informing them of their dual enrollment, loss of eligibility for the tax credits and encouraging them to follow the instructions listed on their notice to either end their APTC or drop their Marketplace coverage and enroll in Medicare Parts A and B. In addition, some people with Medicare Part A coverage may have enrolled in coverage through the Marketplace believing it was an alternative way to get medical coverage equivalent to Medicare Part B at a more affordable cost. These individuals may not have found out they were not eligible for APTCs or CSRs or not learned about the coverage rules prior to the end of their Medicare Initial Enrollment Period (IEP), resulting in them either 1) declining to enroll in Medicare Part B at all; or 2) enrolling in Medicare Part B during the General Enrollment Period (GEP) and being assessed a Medicare Part B late enrollment penalty. CMS believes that many of these individuals did not receive the information necessary at the time of their Medicare IEP or initial enrollment in coverage through the Marketplace to make an informed decision regarding their Medicare Part B enrollment. Q2. What is the equitable relief? Q3. Who is eligible for the equitable relief? Have been notified of a retroactive premium-free Medicare Part A award on October 1, 2013 or later. To be eligible for the opportunity to enroll in Medicare Part B, the individual must currently have premium-free Medicare Part A and not be enrolled in Medicare Part B. To be eligible for the penalty reduction, the individual must have been assessed a Medicare Part B late enrollment penalty from enrolling in the 2015, 2016 or 2017 GEP. In many instances, the penalty will be eliminated rather than reduced. Individuals must request the equitable relief and provide documentation showing enrollment in coverage through the Marketplace for individuals and families. Only individuals who are eligible for Medicare can enroll in Medicare. Individuals who received the CMS notice in summer 2016 regarding their dual enrollment may be eligible for this equitable relief, even if they enrolled in the 2017 GEP. The eligibility criteria outlined above must be met. 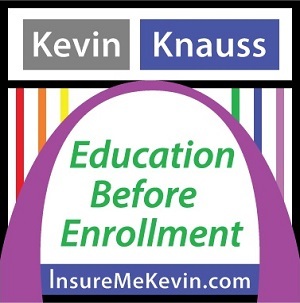 Individuals currently in their IEP are not eligible for this equitable relief as they can currently enroll in Medicare Part B without a late enrollment penalty. This equitable relief cannot change the Part B coverage start date for individuals currently in their IEP. 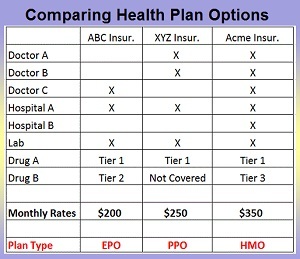 Individuals enrolled in a Marketplace SHOP plan are not eligible for this equitable relief, as they have employer-sponsored group health plan coverage and have a statutory Medicare special enrollment period (SEP) available to them to obtain Medicare Part B coverage without penalty once the employment or employment-based coverage ends. Individuals paying a premium for Medicare Part A are not eligible for this equitable relief because they are required by law to also be enrolled in Medicare Part B in order to enroll in premium Part A. These individuals can choose to terminate their premium Medicare Part A coverage and get their coverage through the Marketplace (with advanced payments of the premium tax credit and income-based cost sharing reductions, if eligible for that program). Q4: Is this equitable relief available to beneficiaries who are or were enrolled in a State-Based Marketplace (SBM)? Yes, equitable relief is available to individuals enrolled in both Medicare Part A and a Marketplace plan – regardless if the Marketplace is in a Federally-facilitated Marketplace (FFM) or an SBM state. Q5. Why can’t people whose IEP started on or before March 1, 2013 get this equitable relief? These individuals are not eligible for the equitable relief because the Marketplace (and the APTC and income based CSRs) wasn’t available to them during their Medicare IEP nor a factor in their decision to refuse or drop Medicare Part B coverage. Q6. Is the equitable relief available to people with premium-free Medicare Part A based on age and other reasons, such as disability? Yes. The basis for an individual getting Medicare is not a criterion for this assistance. Q7. What type of documentation does the person need to provide? Other documentation that clearly reflects the person was enrolled in a Marketplace plan for individuals and families. Q8. How long is the equitable relief available? The equitable relief is available now through September 30, 2017. To be eligible for the relief, individuals must request it by September 30, 2017. As of this date, the necessary information for individuals to make informed decisions regarding coverage through the Marketplace and Medicare Part B enrollment will be available to new and current Medicare beneficiaries. The necessary information will be included in the IEP packages (mailed to all individuals automatically enrolled in the Medicare program), GEP packages (mailed to all individuals who refuse or lost Medicare Part B coverage in the last year), the Medicare & You Handbook, and on the Federally-facilitated Marketplace application. Q9. If someone enrolls in Part B through this equitable relief, when will coverage begin? For most individuals, Medicare Part B coverage will begin the month the individual enrolls. To ensure there are no gaps in coverage, we encourage individuals to enroll in Medicare Part B using this equitable relief first, and continue Marketplace coverage until they are notified of their confirmed Part B enrollment. Some people who received the CMS notice in summer 2016 dropped their APTC, but remained in coverage through the Marketplace. These individuals may have found their Marketplace plan premiums unaffordable without that premium tax credit assistance and may have been terminated from their Marketplace coverage for non-payment of premiums. Per Marketplace disenrollment rules, these individuals could lose their Marketplace coverage with up to two months of retroactivity. Thus, those individuals have the option to request that Medicare Part B coverage start two months back from when they complete their request. Premiums must be paid for all months of Medicare Part B coverage, even if retroactive. Q10. Will people be notified of the availability of equitable relief? CMS is mailing a notice in late February to individuals enrolled in both Medicare Part A and Federally-facilitated Marketplace coverage. The notice will include the offer of equitable relief, so that these individuals can enroll in Medicare Part B without penalty. Go to https://marketplace.cms.gov/applications-and-forms/notices.html and scroll to the section called “Periodic Data Matching Notices” for a sample of the February notice. Individuals who already terminated their Marketplace coverage and enrolled in Medicare Part B with a late enrollment penalty will not be notified of the offer for equitable relief at this time. However, equitable relief is available to this population as well. This fact sheet will be available on CMS’ Medicare and Marketplace webpage. Q11. What should people do to take advantage of this equitable relief? Individuals who were notified or believe they are eligible for the equitable relief should contact Social Security at 1-800-772-1213 (TTY users should call 1-800-325-0778) or visit their local Social Security office and request to take advantage of the equitable relief. They can ask for “equitable relief” when they make their request for Medicare Part B enrollment or penalty reduction. Individuals should mention that they were dually enrolled in Medicare premium-free Part A and a Marketplace plan, and provide the information listed above. Individuals requesting to enroll in Medicare Part B should complete a Medicare Part B enrollment form (Form CMS-40B) available online for download on Medicare.gov, CMS.gov and SSA.gov. They can complete this form and take it to Social Security with them when they request the equitable relief. Individuals requesting a Medicare Part B penalty reduction should mention this equitable relief when they contact Social Security. ALL individuals must bring their documentation of Marketplace enrollment and provide it to Social Security when making their request. Q12. Will people who drop Marketplace coverage or enroll in Part B get an special enrollment period (SEP) to enroll in Part C or Part D? Yes. Individuals enrolled in premium-free Medicare Part A and coverage through the Marketplace for individuals and families will have an SEP to enroll in a Medicare Advantage plan (with or without prescription drug coverage) when they are notified by SSA confirming their Medicare Part B enrollment. Because the equitable relief provides for an effective date to be the month of application or retroactive up to two months, notification of the Medicare Part B enrollment will occur after the Medicare Part B coverage starts. As such, this SEP begins the month the individual receives notice of the Medicare Part B enrollment confirmation and ends two months later. The effective date of coverage for this SEP depends on the individual’s situation, but it may be retroactive back to the first day of the month in which the individual received the notice from SSA. Individuals who decide not to enroll in a Medicare Advantage plan with prescription drug coverage should enroll in a stand-alone Medicare Part D plan if they don’t have another form of creditable prescription drug coverage. Individuals also have an SEP to enroll in Part D. The SEP begins the month in which the Marketplace coverage terminates and ends two months later. The effective date of coverage for this SEP is the first of the month after the plan receives the enrollment request. Prescription drug coverage offered by Marketplace plans may be considered creditable coverage. Individuals should verify whether the coverage they have through their Marketplace plan is creditable. If the Marketplace plan coverage is creditable, individuals should include their dates of coverage under the Marketplace plan as creditable coverage, if asked by the plan, so that the months the person had prescription drug coverage in the Marketplace are not counted towards any possible assessment of a Part D late enrollment penalty. As individuals will be assessed a Part D late enrollment penalty if they go without Part D or other creditable coverage for 63 days or more, we encourage individuals to enroll in a Part D plan (either a stand-alone Part D plan or a Medicare health plan with Part D coverage) as soon as they drop their coverage through the Marketplace. To find Medicare health and prescription drug plans offered in your area, visit Medicare.gov/find-a-plan. Q13. How can I help? CMS encourages SHIPs and Marketplace Navigators to share the availability of this equitable relief with Medicare-eligible individuals you assist who are also enrolled in a coverage through the Marketplace. Advise individuals soon to be eligible for Medicare of the need to drop coverage through the Marketplace and enroll in Medicare during their IEP. All these items will help individuals make informed decisions regarding their healthcare coverage. Go to https://marketplace.cms.gov/applications-and-forms/notices.html and scroll to the section called “Periodic Data Matching Notices” for a sample of the notice. See examples of other documentation to show enrollment in the Marketplace for individuals and families.